Ask me to pick an overall favourite movie and I would choose Superman II. Christopher Reeve’s man of steel was somewhat of an icon to me. I wanted to be him. And I confess to you now that I have an autographed photo of him on the wall in my home office. It may not surprise you to learn that I haven’t stumbled upon any superpowers of my own yet – unless you count exaggeration (which I can categorically state I’m 100 million times better at than you!). That said, I can’t completely dismiss the idea that I have a superpower. Afterall, they say you can’t prove a negative! I sometimes wonder if it’s just that I haven’t yet discovered mine. 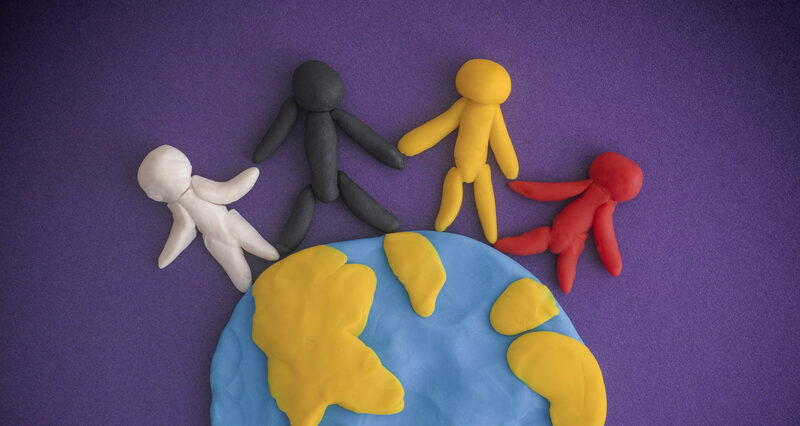 A common theme running through all the movies and tv programmes I have mentioned in my article is one of making a positive impact on others. I have very fond memories of watching Christopher Reeve’s Superman films in my childhood. And I believe a definite parallel exists that having portrayed the Superman character on screen as an actor, he went on to become a real-life Superman following his tragic accident in 1994. I remember feeling genuine sorrow when, as a fifteen-year-old boy, I heard about his accident on the news. And that feeling was echoed ever more deeply when I heard of his sad passing in 2005. In 1994, Reeve was taking part in an equestrian competition. As his horse prepared to jump the third fence, it made a sudden refusal, projecting Reeve forward off the horse and onto the ground; snapping his neck and shattering the first and second vertebrae in his spine. Although Doctors skillfully and successfully operated to reconnect Reeve’s skull to his spine, he was left paralysed from the neck down and was put on a ventilator – something he would remain on for the rest of his life. Despite initially contemplating suicide, having awoken to discover he was a vent-dependent quadriplegic, Reeve set out on a determined new path – one that would make an enormous impact. Supported by his wife Dana and his family and friends, not only did he set himself a goal to walk again, but he also continued to direct films, act and, importantly, become a spearhead and spokesman for research into treating spinal cord injuries. 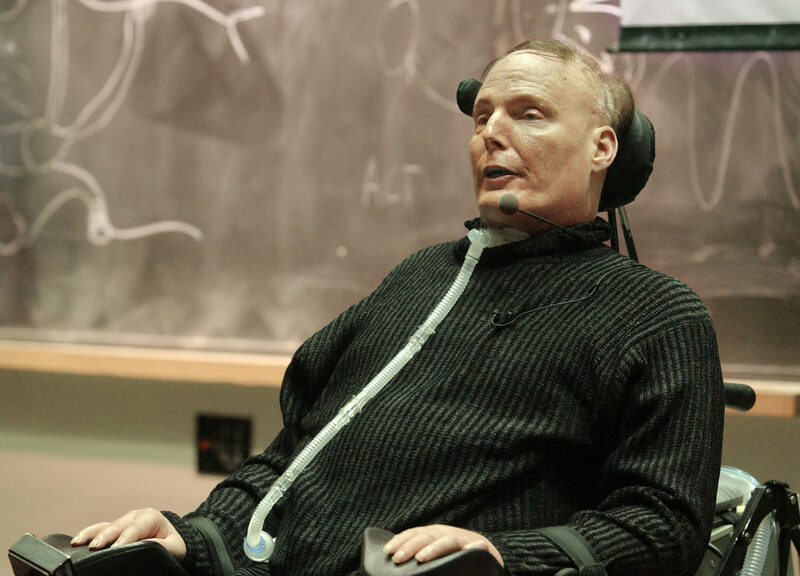 As well as being elected Chairman of the American Paralysis Association and Vice Chairman of the National Organization on Disability, Reeve also co-founded the Reeve-Irvine Research Centre. This is now regarded as a leading spinal cord research centre. In addition to this, he founded the Christopher Reeve Foundation (now the Christopher and Dana Reeve Foundation) to fund research. To-date the foundation has helped generate more than $22m in quality-of-life grants and $138m for research, leading to new developments in technology that have helped paralyzed patients walk again. And although he wasn’t quite able to achieve his personal goal of walking again, Reeve’s steely determination and hard work to maintain fitness and muscle health meant that he confounded specialists by regaining some motor function and recovering movement in his fingers and legs. I find myself wondering just how far along his recovery would have reached today, had a reaction to an antibiotic not robbed him of his life. And so for me, Christopher Reeve will always be an icon and an inspiration. He was a man of steel; inner steel. He sets an incredible example of the fact that sometimes life throws us a massive kryptonite curveball we’re not expecting. It’s then up to us to decide what to do next. And it goes to show that the opportunity to make a difference to the world we live in never fully disappears, it simply changes.